TFS users put a lot of great information in the Acceptance Criteria field of the Product Backlog Item to ensure that the PBI meets a certain level of quality. Usually tester’s then create test cases manually(boo!) so that they can report on the testing of that PBI. Well that’s all until today, because now there is a tool that auto creates test cases efficiently so that you can spend more time on the most valuable activity – TESTING! 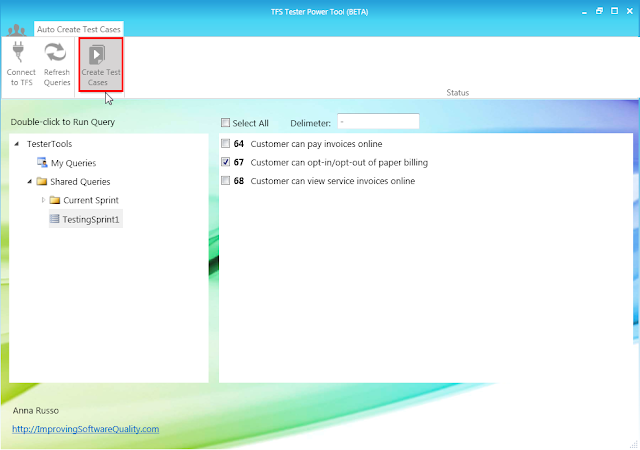 Anna is releasing this as a Beta here TFS Tester Power Tool – Auto Create Test Cases from Acceptance Criteria, because she would like to hear what you think and any improvements that could be made drop her a line in her blog. Enter Delimiter (e.g. “-“). 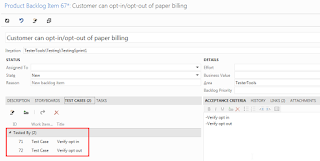 The delimiter is used to separate the acceptance criteria and create multiple test cases. 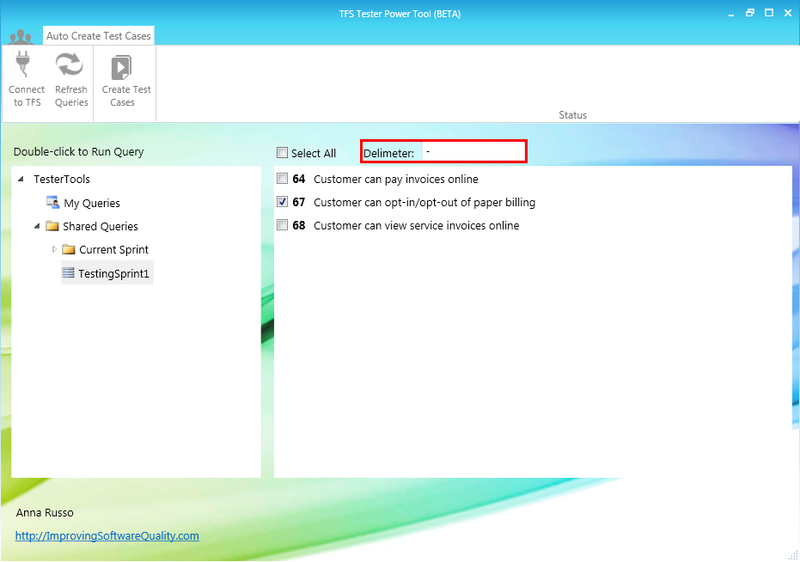 Click on Create Test Cases and wait for the tool to do all the hard work for you. Viola test cases were automatically created and linked to the PBI! 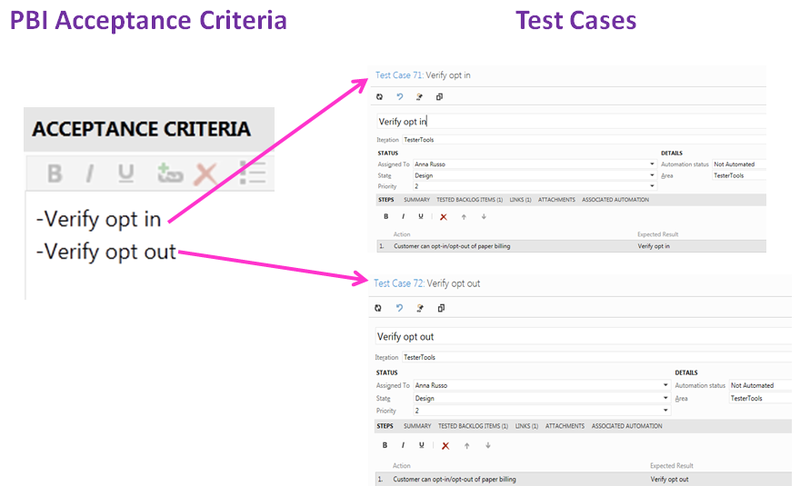 The resulting test case looks like this with the Acceptance Criteria in the Title and Expected Result field and the PBI in the Action. The resulting PBI has the 2 test cases automatically linked.